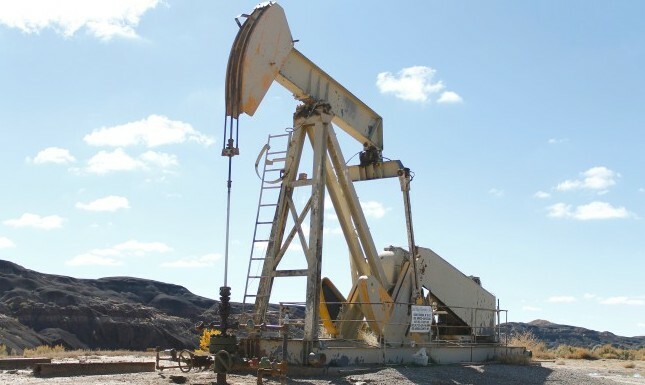 What’s causing the loss of oil and gas jobs in the Four Corners region? For some readers, this question is an abstraction; for others, it is deeply personal. In the past few months, economic news for oil and gas producers has gone from bad to worse. Credit downgrades of highly leveraged exploration and production firms has industry analysts predicting that as many as 150 oil and gas companies could file for bankruptcy during this bust, remaking the industry in a way not seen since the late 1990s. For the region, this has translated into job losses and predictions of budget shortfalls for those reliant on taxes to fill government coffers or royalties to supplement household incomes. Though the pain is spread throughout the region, it is perhaps felt strongest in northern New Mexico. The city of Farmington led the nation in unemployment rate growth in 2015. Nationwide, it is estimated that 250,000 oil workers have lost their jobs. The cause of this calamity? Before discussing what the cause is, let’s talk about what it is not: regulation. For the regulation-kills-jobs meme to be plausible, one would expect the cost of the over-regulated commodity to be rising. That’s the whole shtick. It goes like this: excessive regulation forces companies to navigate costly and unnecessary bureaucracy. Said new navigational demands drive up the cost of production, cut into profit margins and suppress investor appetite. Unhappy investors and declining margins lead to the inevitable: job loss. In our current bust, we see the exact opposite of this excessive regulation scenario. In the past 20 months, crude oil prices have dropped an astonishing 70 percent, with the international benchmark for crude oil trading at just over $30 a barrel this week. The current bust is caused, not by regulation, but by the mundane laws of supply and demand. As clearly illustrated in a recent International Energy Agency report, global supply is outpacing global demand, driving the price of oil to a low not seen in over a decade. As an environmental advocate in the midst of an industry downturn, talking about job loss is akin to finding dangerously thin ice to jump on. So why go there? First, it is only natural to feel and express empathy for any person or family struggling to make ends meet, regardless the cause. That car payment, the mortgage, the need to put food on the table or clothes on children’s backs – I can assure you those demands are felt with equal acuity whether you’re a roughneck, a coal miner or a hippie. Second, if we are to avoid future and nearly identical bloodletting, we must take this downturn as an opportunity to begin diversifying our regional economy and retooling our workforce. When it comes to job destruction, industry needs absolutely no help from its favorite scapegoat, the mythical job-hating environmentalist. No. Job destruction is one thing industry can count on, with a cyclical regularity that would put a watchmaker to shame. As bad as this current bust feels, it won’t be the last. How are we preparing our community for a softer landing the next time around? For good and bad, creative destruction is written into the DNA of capitalism. No industry is immune, and that includes the energy industry. Looking past cyclical booms and busts, a bigger question also looms: How are we positioned for the day fossil fuels are substantially supplanted by renewables? Like it or not, that day is approaching. Leaders in this industry transformation we are not, but it’s never too late to start catching up. In the future, our very jobs may depend on it.